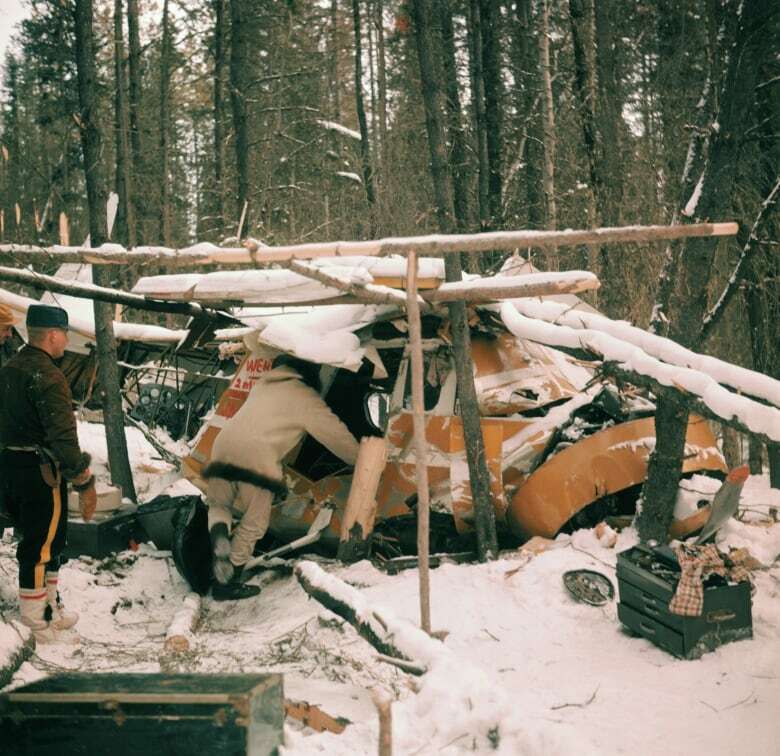 Helen Klaben died earlier this month — 55 years after a plane crash in the Yukon. 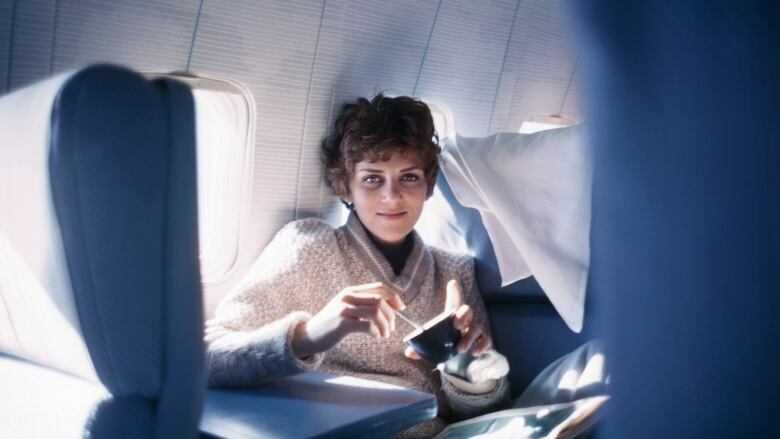 She spoke to As It Happens in 1975 about the crash and surviving in the wilderness. 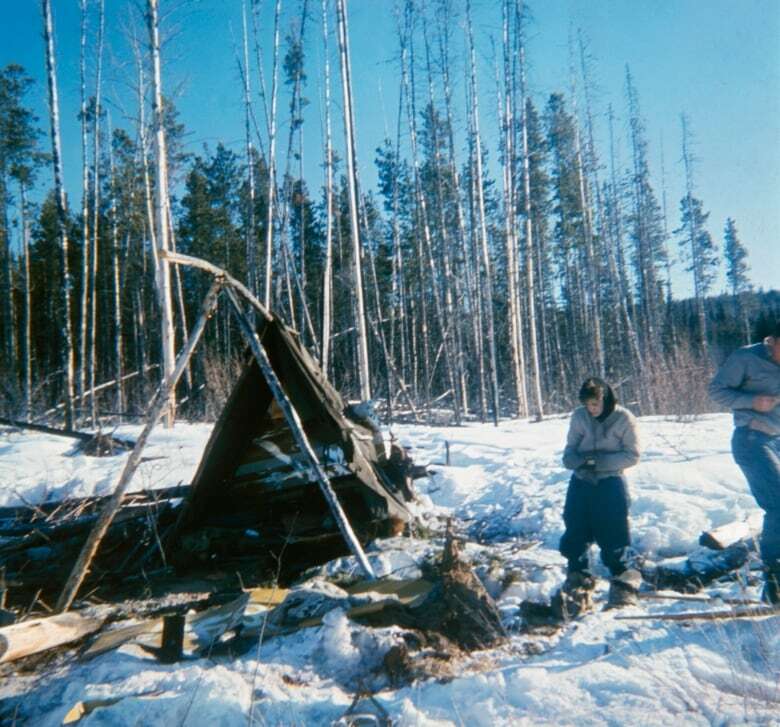 In 1963, she was stranded in the Yukon wilderness for almost 50 days — in the dead of winter, waist-deep in snow and with next to no food or emergency supplies. Helen Klaben's ordeal would go on to make headlines around the world. On Dec. 2, she died at her home in Palo Alto, Calif. She was 76 years old. The single-engine plane she was travelling in was heading south from Alaska. Klaben was the only passenger riding along with the pilot, Ralph Flores. Neither of them could have anticipated their fate. But when the inexperienced pilot crashed the plane, the unlikely pair spent seven weeks stranded together in the Yukon mountainside — Klaben, a 21-year-old Jewish woman from Brooklyn and Flores, a 41-year-old Mormon and father of six from California. Days after the search for them had been called off, Chuck Hamilton, a pilot from Watson Lake, spotted their SOS sign in the snow. Helen Klaben spoke to As It Happens host Barbara Frum about that ordeal back in 1975. Here, from our archives, is part of their conversation. Ms. Klaben, how do those events fit into your life now? It was an interesting experience and it fits into my life in the same way that all of the other marvellous experiences I've had fit in. You used the word marvellous. Most people would think freezing and starving to death in the Yukon for 49 days wouldn't seem marvellous. Well, it's a really a fantastic experience to have lived through. Not many people have the fortune to experience the things I've experienced and live through it to be able to tell about it. Can you still get right back into it? Can you describe today for us what it was really like? The thing is, when you're trying to remember pain, it's very difficult. And that's one of the marvellous mechanisms of the body, is that you can't remember it. But what I remember is sitting there, trying to analyze the pain in my foot. I had frostbite and gangrene in my right foot, my arm was broken and it was 45 degrees below zero. And we hadn't had food for 40 days. And I was trying to remember — and trying to inscribe on my mind so that I would become aware — what it is to be hungry and what it is to be cold and what it is to be starving and suffering. What did you do for food after your little supply ran out? We had none… No food for 40 days. We melted snow for water. We had some chewing gum that we chewed on for weeks, I guess. And then in about the fifth week, we discovered toothpaste and had a little dab just to freshen our breath. How much were you when you started? So you lived off your own body fat. Did you fight with each other about whether or not you should survive? Did you try to cheer each other up? Well, Ralph … felt the religious significance of the crash and felt that if I was finished reading the Bible and I would accept the divinity of Jesus Christ, we would be rescued. He tried to convert you. Yes. He felt that was very important. I took it day by day. I read the Bible and it was curious that we weren't rescued until about three days after I finished reading the Bible — and it's a pretty long book. And yet I didn't accept the divinity of Christ. I didn't accept the religious aspect, although I developed my own spirituality. Did the rescue turn out to be the way you'd imagined? While I was there, I had little daydreams about the rescue. I expected to be rescued by helicopter and they would let down a rope and I would climb up the rope. And another variation on that was a dogsled would come in and get me, and bundle me up and take me across the tundra into the sunset, with a mounted police waiting for me. But in actuality we were rescued by Chuck Hamilton, [who] walked in and carried me out, piggyback, on snowshoes — which is really nice.